Isn’t it funny how simple ingredients prepared just the right way can turn into an amazing dining experience? Stainless steel/caste iron/or ceramic pot/skillet with tight fitting lid. Heat up oil, turmeric, coconut nectar, and seasalt for 1 minute in skillet or pot. Gently place salmon (skin side down in middle of skillet), next place red potatoes around and on top of salmon. 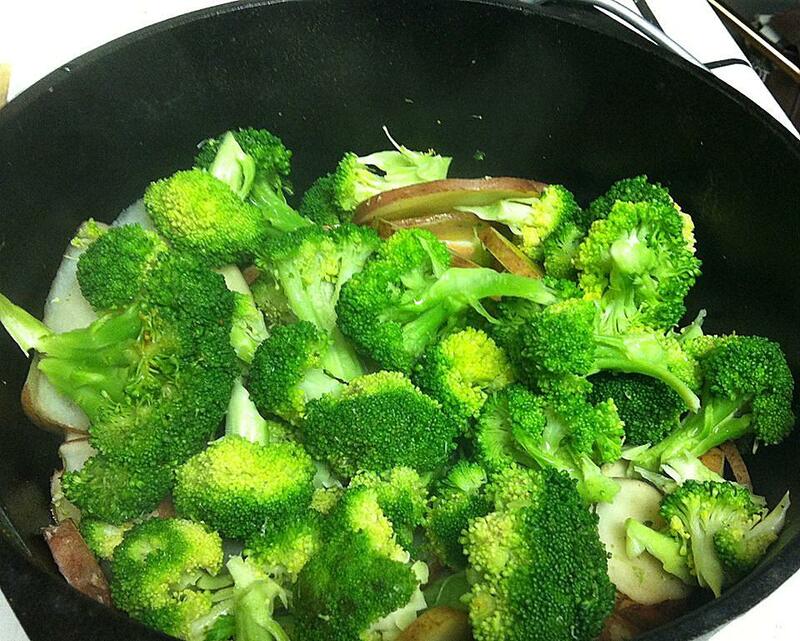 Then place broccoli on top. Close the lid and put on medium/low heat. Cook for 30 minutes to 1 hour (check every 15 minutes to see if potatoes are done – once potatoes are done, it is ready). Note: The vegetable/salmon juices that collect at the bottom of the pan are great to drip over the finished meal. Posted by simplycookingrealfood on November 3, 2013 in Main Dishes.